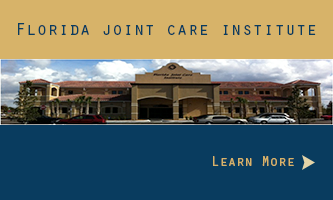 He delivers state of the art orthopaedic care to all ages from the young to the geriatric, with expertise in fracture care and fixation, hip, knee and shoulder replacement, revision hip and knee replacement, sports medicine, arthroscopy of the knee and shoulder, and reconstruction and fixation of bone with metastatic cancer. He has also pioneered direct anterior hip replacement technology using a muscle sparing approach and the Hana table at the Medical Center of Trinity. Follow the Boat Build - The Malahini "Lauren Michelle"
Congratulations! Dr. Hanff awarded Physician of the Year at the Medical Center of Trinity 2016. Dr. Hanff speaks about anterior hip replacement in the Suncoast News. Summer time is full of play for many, particularly for active children. Unfortunately a broken wrist or arm may ruin a planned summer trip. Using our new casting technology with thermoplastic custom waterproof braces, many fractures may be treated without restrictions on many activities including swimming.